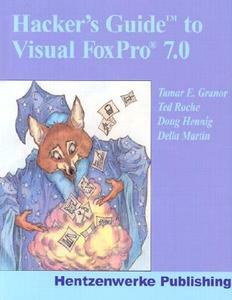 An irreverent look at how Visual FoxPro really works, this guide gives developers insight into every command, function, event, and method of version 7.0, including Service Pack One. Recognized within the FoxPro developer community as the indispensable resource for serious FoxPro development, this updated edition covers Visual FoxPro's Power Tools and the various components of the language, including Xbase traditions and assumptions. Also included are hardware tips and optimization guidelines. Subjects such as Active technologies as they relate to VFP, the Class Browser and Component Gallery, VFP's Builder and Wizard technologies, and VFP's version of IntelliSense are covered in detail.